What does it really Mean to Book Clients on Autopilot as an online Coach? For many of us women who are building our online coaching business we have a similar goal and dream for our business. The Dream - being able to build your online business that not only pays the bills but allows you some of the luxuries (if not all) that you dream of. But first, where do you get started? What is the BEST STEP to take when launching your online coaching / service based business? Answer: You need to have a system, a process, a strategy in place to start booking clients consistently in your business. If your business isn’t attracting clients then you aren’t in business - period. Clients are the way you make your money and… as a coach or service provider not only do you want to attract clients but you want to do so on a consistent basis and on autopilot so the overwhelm of having to chase clients and hustle day in and day out is eliminated. Now let’s look at THE BIG PICTURE: What does it really take to book clients on autopilot? Strategic Content - not just creating content because you "have to" but creating content that is focussed on helping you accomplish your main goal: book clients online. That means that your content needs to not only be compelling and converting but highly intentional and focused on your overall goal. Simple Funnel - this will automate most of the heavy lifting that you would normally do manually. This funnel will attract your ideal clients to you, convert them into fans and high quality prospects and make attracting and booking clients who are ready to buy much much simpler. Strategy you can take all the way to the bank and not just throwing any and everything at your business that is hot at the moment. You need a strategy you're confident in and consistent with and that's when you'll start to see the results you want. 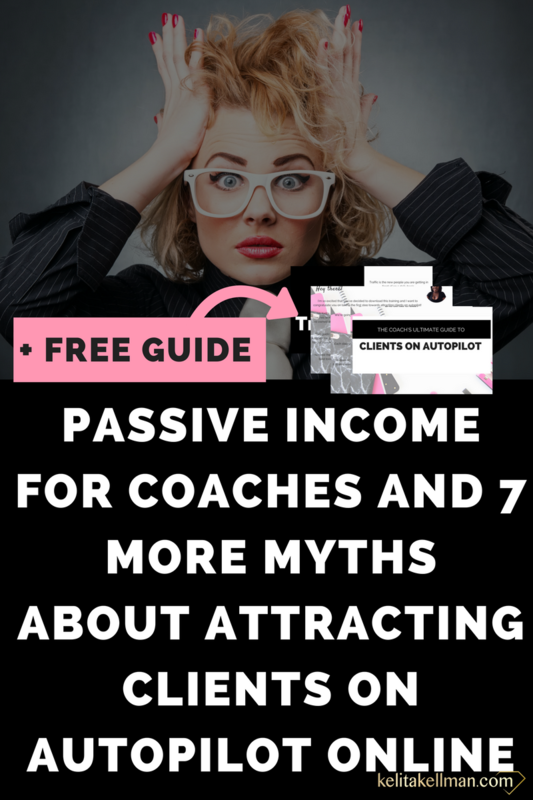 See the reason why most women coaches aren’t attracting paying clients on autopilot is because they’re just throwing strategies and marketing techniques around with no intention behind them. You avoid the frustration, burn-out and overwhelm that almost seems to be inevitable these days. Booking clients on autopilot shouldn't be a myth or a story you hear about from other online coaches, a dream that's out of reach. Booking clients on autopilot isn’t a theory - it’s a science. Not only that it’s also SIMPLE once you know what to do. When you have a process, a strategy and someone to guide you while building your business the way it should be from the ground up you can't help but get the results you deserve sooner rather than later. Most women coaches give up on their businesses because they just don't know what to do, when to do it, how to do it and in what order. That does not have to be you - it's exactly why I created Clients on Autopilot so you can have the steps, the guidance and at the end the business that can attract your paying clients on autopilot. I know you believe that something as good as booking clients on autopilot must be complicated and there must be some secret that is being kept from you. Well I'm answering a question I get asked a lot in some form or the other: "What is the secret behind you being able to book clients on autopilot?" The Answer: Your Email List. You've probably heard that the “money is in the list” before but… what is often left out is that the money is only in the list if it’s built correctly from the start. Imagine: You have a $2,000 package and you want to book 5 clients into this package. You have about 100 subscribers on your email list and you send out a series of emails and content to your email list of subscribers who already know you, like you and trust you. The content and emails are designed to introduce and launch your offer and fill those five spots. With a small list you've just booked $10,000 in clients! These are just examples showing you what's possible. 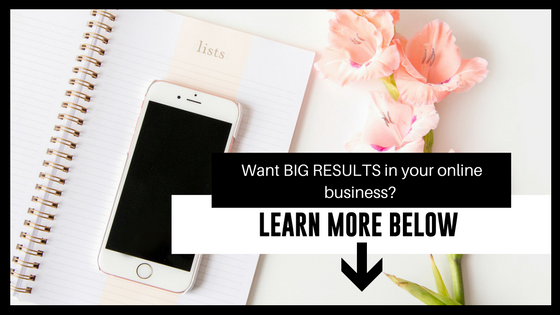 But here's the deal: the secret to attracting clients on autopilot isn’t just building a huge list - as you’ve seen before you don’t need a big list. It’s all about the quality of that list and positioning your subscribers to see your offer as the solution and therefore converting them into being hot prospects. First off you need to attract the right potential clients and convert them into subscribers. To do this you need content. Most coaches create content because they “heard they should” - however every piece of content you create should have a specific goal attached to it. The first goal is to attract potential subscribers. These content pieces will work for you over and over to attract your ideal clients for you so, once you’ve done the work once it will continue to work for you over and over again. Once you’ve attracted them next up is converting them into being subscribers. To do this you’ll create a sweet gift for them that they just can’t resist called an opt-in offer / lead magnet or as I call it a client magnet. This converts the BEST PROSPECTS into being sibscribers and now they are even closer to being clients. Once they become subscribers now you can nurture and build know like trust so that when you do make an offer it’s more likely to convert. Your next goal is to build know like and trust with your new subscribers. To do this you will create a series of emails that takes your new subscriber from not having a clue who you are to becoming a part of your community, seeing you as THE SOLUTION and that you are the best expert and person to help them accomplish their goal. Yes - it is simple, and yes there are a few things you can do to sweeten the pot and move the needle a bit further along and faster BUT the main secret behind clients on autopilot is having a group of potential clients you can make an offer to that are more likely to say yes. That’s the secret - building an email list that is filled with hot prospects that you can get your offer in front of that are more likely to convert to paying clients. The best part? You can implement this all as well as long as you have the steps. Want the free guide with all the steps and more? Download it free below now.